She launches into a soliloquy about the failed plot to kidnap Abraham Lincoln, John Wilkes Booth’s fatal attack in Ford’s Theater, and the assassin’s dramatic getaway. Somewhere in that cascade of facts came the account of William Seward, the bed-ridden Secretary of State who was assaulted in his home by Lewis Powell, a fellow conspirator of Booth. Some kids are addicted to Facebook. Others lose themselves in the chaos of Modern Warfare. Not Daughter No. 1. She’s one of those rare youth with a passion for learning. To her, the assassination of Lincoln was an event with more suspense and drama than could come from John Grisham and J.K. Rowling, even if the authors were duct-taped together, forced into a dimly lit cell and told to write for their lives. A minute later I place a Cowan’s Auctions catalog on the 19th-century farm table that serves as her study desk in the middle of our living room. Face up is a page showing a portrait of Lincoln taken by Alexander Gardner, the president seated in a simple side chair and holding a pair of spectacles. 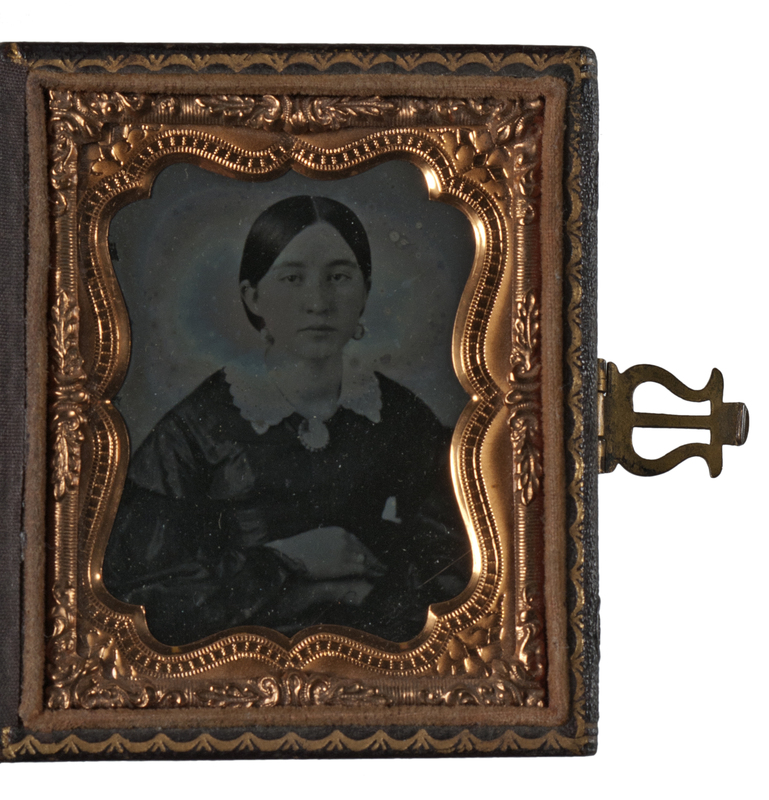 The image, captured in Washington, D.C., on Aug. 9, 1863, is in the form of a carte de visite from the collection of Edward Steers. Paired with the photo is biographical text about Steers, the consignor of numerous Lincoln-related lots in the sale. “Edward Steers was an expert on the assassination of Lincoln,” I say. “This is Cowan’s last American history auction, which featured Steers’s collection.” Flipping through the catalog, past photos of the president and images of Lincoln’s cabinet members, I find what I’m looking for. A brief silence fills the room. A piece of history, made palpable in Mrs. Rodeffer’s classroom that morning, has taken face and stares up from the pages of the auction catalog. There is Fanny Seward, in a dark-colored dress with a white lace collar, her hair parted in the middle and pulled back, hands crossed in front of her. She looks sad, more so than the typical unsmiling images that usually characterize 19th-century portraits. Fanny Seward (1844-1866), born in Auburn, NY, was given a progressive education and upbringing by her parents, which undoubtedly led her to become an aspiring writer and passionate reader. She maintained a voluminous diary throughout the course of the Civil War, detailing encounters with Pres. Lincoln, foreign diplomats, and other celebrities of the period. Fanny was also present when John Wilkes Booth’s fellow conspirator and collaborator Lewis Powell stormed the Seward house, making his way to the bedridden Sec. of State, Seward, and repeatedly stabbing his face and neck. With the efforts of Fanny, her brother Augustus, and a military sentry, they caused Powell to flee the bedroom and home, but before leaving he managed to inflict wounds on everyone present, including Fanny. Although she recovered from the injuries, along with everyone else that was attacked by Powell, within the next 18 months, Fanny lost her mother in June of 1866 to a heart attack, and died of tuberculosis at the age of 21 in October of the same year. The ambrotype. The story. Suddenly a small dot on the timeline of American history — the attempted assassination of a U.S. Secretary of State — is much more than a paragraph in a history textbook. Now it has breath, supporting characters, consequences. Here is an image of an eyewitness bloodied in the battle to save her father’s life. On the facing catalog page, staring out through time, are CDVs of the man who nearly died that day. The objects make a difference. These aren’t just drawings on the glossy pages of a history book. The auction catalog shows actual photographs from that era, when Lincoln still lived, and when the nation remained weakened by war. What’s more, these pieces of history were for sale. Anyone with a modest amount of money could have owned them. Other images in the auction add dimensionality to the story of Lincoln’s assassination. There are CDVs of doctors who attended to the president; employees and actors from Ford’s Theater; and members of the military who tried the Lincoln conspirators. Real people. Real events. That’s what makes this industry so amazing. It’s the stuff we have the honor to see and be stewards of for a while. Amelia Jeffers, president of Garth’s Auctions, put it succinctly during a recent conversation. She noted, people can make a living selling everything, even cogs and sprockets, like on The Jetsons, but antiques are different because of the stories connected to those items. Daughter No. 1 got a history lesson this week, but it didn’t entirely occur in the classroom. Welcome to my world, dear. Welcome to the antiques industry.